Not the camera that makes the photograph.. I couldn’t agree more with this statement but we can’t ignore the fact that we have cameras that cost less than £50 and cameras that will cost you the same as a mid range, brand new BMW? The Camera must be important on some level, mustn’t it? Well yes, of course it must. Whilst it isn’t the camera that makes the picture, it’s the camera that reproduces the vision of the photographer and this is where things get interesting. A mobile phone can take a picture in the same way a £30,000 camera can, but when it comes to the quality of the image, the process of turning the artists vision into pixels on the screen or ultra fine droplets of ink on paper, there is no comparison. For some applications of course, the level of quality is not so critical while for others it certainly is. A couple of weeks ago, thanks to Brian Tinsen, at DTek Systems UK , I had the opportunity to test drive the camera equivalent of the new BMW. A medium format Phase One 645 DF camera with a P45+ digital back along with a fabulous Schneider Kreuznach 28mm LS f/4.5 Aspherical Lens. As I’m principally a landscape photographer, I needed the SW150 filter system from Lee ,designed to fit lenses with fixed hoods to protect the convex nature of the super wide lenses. The P45+ digital back has a 49.1 x 36.8mm sensor giving 39.1 megapixels at a resolution of 7216 x 5412. What all this technical stuff amounts to is wonderfully sharp images with superb depth and range of colour. Within ten minutes of the courier delivering the equipment, I had the camera unpacked and I was taking pictures. Using the menu system on the P45+ digital back, I was able to format my compact flash memory card and set the ISO. It was all very intuitive. I’ve posted one of those first pictures below in full resolution so you can judge for yourself. Click on the image and view at 100% and you’ll see what I mean. We generally don’t go zooming into images to check the finer detail so does this level of quality matter? Well on a professional level it does and while the camera didn’t take this picture what it did with the data I gave it to process is on another level. 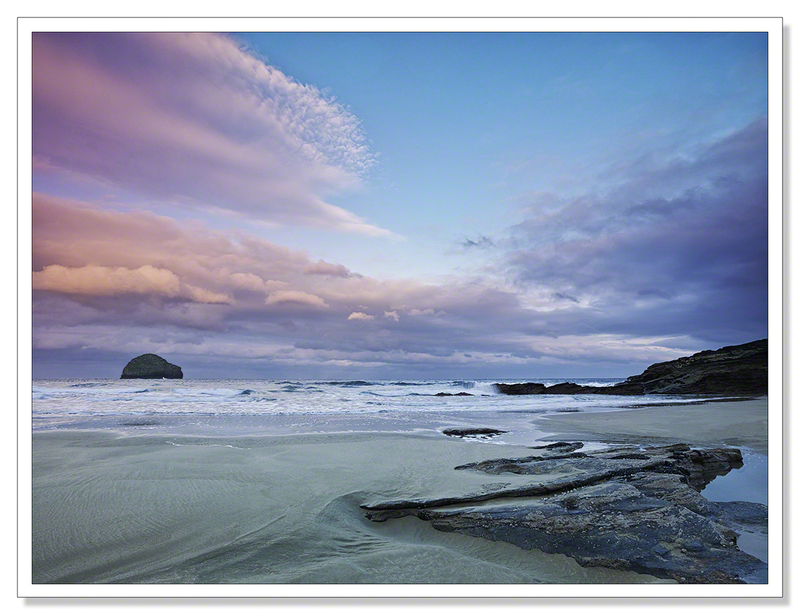 I went on a couple of dawn shoots to Trebarwith Strand and was really pleased with the way the kit performed and the results I got. The camera is big and heavy but packed away nicely in my Kata backpack and I use a tripod so I didn’t find this a particular problem. It’s not a camera I’d like to have around my neck all day long however. The Schneider lens is in a class of its own, the clarity and depth of field achievable with this lens just blew me away. My thanks once again to Brian for the loan of the equipment and for showing me what is possible. It’s a lot of money. My current kit costs around £3,500 and in many respects, the Nikon D800 holds its own against a medium format camera. I love my D800 and the images it produces. Is the medium format kit worth 5 times my current kit? Well yes, for me it is. Looking at the images in the gallery below, the style is the same, these are Chillbrook images for sure and there’s not a whole lot of difference to be seen at this level However, these images could take being printed at billboard size without any problem and from a quality point of view, would satisfy the critical eye of the most exacting magazine photo editor. As a professional photographer, this is where it counts. My sincere and on going thanks to everybody who has clicked the links to my new website, www.cornwallphotographicsales.com The site is doing really well in the Google page rankings, thanks to you all, and in several fairly general searches I have done recently found Cornwall Photographic sales on the first page of results. This is fantastic so please keep clicking.. This entry was posted on October 27, 2013 by Chillbrook. It was filed under Photography and was tagged with Cornwall, Cornwall Photographic, Cornwall Photographic Sales Ltd, England, Landscape Photography, Medium Format, medium format camera, Nikon D800, Phase One, photographer, Photography, Schneider Kreuznach, Seascape. Big Lottery Fund could be a way to raise some money. We use it regularly at work for various projects and to fund equipment and resources. Let’s hope your next one is in the thousands :-) say about Ohhhhh 16 of them. Simply outstanding! Good luck on getting the new kit. I’m also glad the new site is doing well. It is excellent. Stunning! Your photos are simply amazing! Love the photos, Adrian. Fantastic camera – my wife would divorce me if I bought it! I hope your broadband is faster than mine. 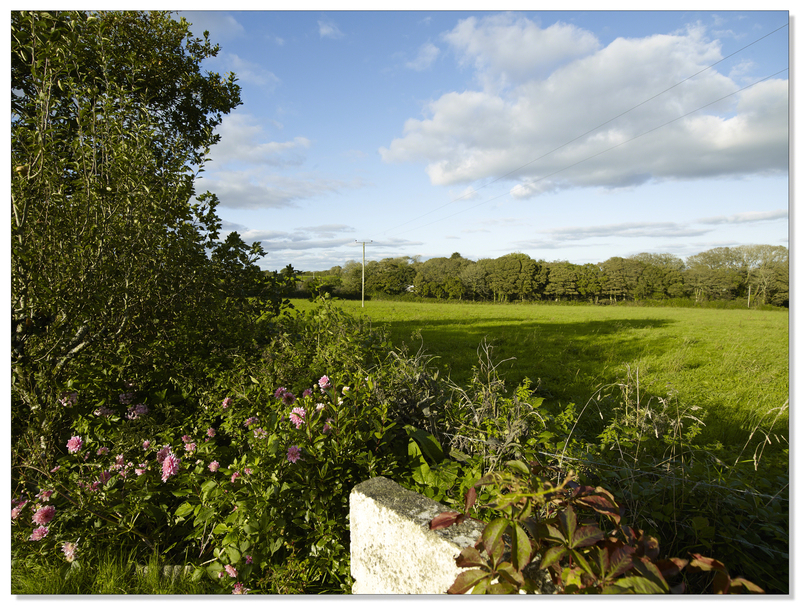 In my part of Cornwall we get 0.75MB/sec, taking 6 minutes to open your full res image! Thank you Malcolm. Yes I can imagine that would be a divorceable offence. Thankfully my broadband is around 12MB. That’s a long time to wait for a picture. What happened to the Superfast Cornwall that we have all paid heavily through our council tax to get? It seems to be taking rather a long time despite assurances it’s on it’s way. I hope Infinity makes it’s way to West Penwith very soon..
Beautiful images as always. What a camera! I’ve just committed for a new camera body and was worried about the divorce courts after spending a very small fraction of this camera’s value, but then, I’ll never make a penny out of my investment, so it is just squandering cash on my hobby. Perhaps that is grounds for divorce. :? These photos are just amazing, Adrian. So glorious to look at. And yes, the camera speaks volumes. I’m not a pro but I felt such relief when I looked at some of my Red Rock Canyon photos from Vegas taken with my Nikon D5000 after using the camera phone for too long!! Well done on all your success!! Thank you Marina. I’ve just been looking at you Las Vegas post. Fabulous pictures. Yes, mobile photography has upped the number of “photographers” out there but there will always be a market for exceptional photography. Unfortunately, it’s just so competitive. I saw a series of Instagram photos in a magazine that were published to illustrate a feature. Unbelievable! That is pretty unbelievable. The problem is the high end kit is so expensive so the prices charged for top quality images are correspondingly high. Thankfully there are still plenty of publications out there that are not using iPhone photography to grace the glossy pages. Sensational images Adrian! Lucky you to have the opportunity to test that gear and glad to know the new site is doing well. Thank you Phil. It was a great opportunity and an experience I was lucky to have. Beautiful quality images, that’s for sure. The garden shot looks like you can put you hand in the image, it looks so sharp and realistic. Perhaps send a letter to Santa….. But I have to say, you’re a particularly good landscape photographer anyway. In my hands that lens would be wasted. Thank you Simon. I’ve never heard of Indigogo. I’ll check it out. The high tonal range of colour just blew me away, a couple of the images of clouds gave me the feeling of 3D, or was that my imagination? You only live once and you can’t take the money with you, go for it and best wishes for your new site. Awesome colors…truly impressive shots! The colors are tremendous, but it is the depth and contrast of the scene/colors that really captures my eye (the first shot pink clouds that will clash with the indigo clouds…wow). It is always kind of fun & exciting to try out new equipment, especially when the end result is capturing beautiful shots. Superb photos with gorgeous colour and fine detail. Thank you David. Much appreciated. Your photography is a pleasure to watch. You’re advancing so beautifully. And there are a couple of pictures on this page that I truly love. For about 40 years I worked with large negatives. 4×5 inches. So I know what you’re talking about when you consider the advantages of this fine camera. In art, we can reach the sublime even with the most simple cameras. But for those of us who want high resolution… large prints… there is such an advantage to a large negative or a large sensor behind a very good lens. Enjoy yourself. Thank you Shimon. I really do appreciate your comment very much. Hi Adrian, fantastic images as always and a very interesting post. My thought process is actually taking me in a whole different direction – I want smaller, lighter and more compact, mainly because most of my photography is hand-held and travel related. In fact I’m about to part ex all my Canon gear (today in fact) and embrace the world of mirrorless csc’s – I’ve had a very solid offer from Wex for my 7d, 4 lenses and a bunch of other accessories and therefore will have approx £2000 to invest in a new system – probably either Panasonic or Olympus MFT. Although the MFT system has a smaller sensor (half the size of your full frame D800) the image quality is right-up there with the APS-C in the 7D – but in a much less bulky package. I have the Panasonic Lumix GX1 (quite an old MFT camera now) and on my recent trip to Spain it took some lovely images – easily comparable with my 7D – in fact I think it performed even better in some areas, especially better dynamic range. Hi Mark, Thank you. I certainly wouldn’t want to lug this kit around the Alhambra for a day. When I take pictures, I generally find my composition, set up and the don’t move. I wait for the light to be right, get my shot and go home. The bulk and weight of the medium format is therefore not a problem. What a gorgeous gallery ChillB . Such serenity in your images you bring .. the colours .. timing .. composition and an artistic eye together here for a truly beautiful series. Hello Adrian, you’re dead right, the hardware definitely makes a difference, as you’ve proven here beyond all reasonable doubt! I hope you manage to acquire your PhaseOne camera and I’m looking forward to the images. Hi Finn, thanks for your comment. Much appreciated. It’s not the camera that takes the picture but the camera makes the picture (in terms of achieving the photographers vision) and there’s no denying the detail, colours and tonal range. Superb! It’s great that the rise of phone cameras etc. has opened up the joy of photography to so many more people but it’s also a shame that it has damaged the camera market and had such a negative impact on serious photography. We’ve become inundated with average images and the bar has been lowered – on a positive note, those that are any good stand out! Good luck with fund raising. Thanks Noeline. You are absolutely right. I know that Jessops blamed their problems on the camera phone and the idea that they take ‘great’ pictures. Well they take pictures, sometimes really nice pictures, but you can’t do anything with them beyond look at them on a screen and quite a small screen at that. Nowadays, everybody is a photographer which, on one level as you point out, is a great thing but with so many publications and websites relying on amateur pictures, a credit is the only payment required, it is becoming ever harder to sell images at a price that will provide a ‘proper’ photographer with a living of sorts. But as you say, there is a positive note. Thanks again for your comment. Thank you very much Yvonne. You are right with this post. A photographer with an artistic eye and a feeling for light, colour and composition can get a good photo with any camera. BUT with a top of the range DSLR or similar the results go past good to stunning, as you have demonstrated in this post. Adrian, you know I am a stern supporter of the quote you started this post with. But, yes, the camera and equipment is important, depending on what kind of pictures the photographer takes. At the same time I see a lot of photographers in my workshops with very expensive, top of line cameras who aren’t able to produce interesting pictures at all. Then I would say all that equipment is a waste of money. On the other hand as you show here high technical quality makes a difference when the photographer knows how to use it. Excellent images, my favourite being the opening picture. Thank you very much Otto! :-) I do indeed know that you are a very stern supporter of the quote, ‘It’s the photographer not the camera..” and I have to say I was thinking of you as I wrote the post. To be honest, I was a little nervous as to what your reaction to it might be. I was keen to ensure that the idea that better equipment will not make you a better photographer came across because as you say, some can have the best equipment there is and still produce uninteresting pictures. I guess one’s creativity is innate but as your posts so eloquently describe and inform, this can be worked on and then there is the craft side of the equation, again one has to put the hours in, serve the apprenticeship. A brand new shiny, super expensive camera will not do all of that for you. The equipment you own cannot short circuit the process. But, when you have put the hours in, that super shiny equipment is such a pleasure to use and the pictures the camera produces, such wonderful quality. Thank you again for your comment Otto. I really appreciate it. Great, great photography and very inspiring comments here! Thank you, Adrian! Hi Adrian, I can see why you might be smitten with the quality of these images. They are incredibly beautiful and detailed. I wish you good luck finding a way to make owning this camera a reality. Either way your vision and execution with photography will remain admirable. Ah the color, it transports! so beautiful. Loved by me.